Reece Mastin's show is not one you would expect from a 90’s baby. It's rock 'n' roll straight out of a time capsule - and that by no means is an understatement. Call it what you will, reincarnation, spiritual inspiration, naivety or carelessness to what is “main stream” or “cool”, this show and this sound, is cemented in pure love and passion for rock ’n' roll, and finding true identity through music. Since separating himself from the large corporate labels, Mastin has produced three powerful rock records, “Rebel and the Reason”, “ Change Colours” and most recently, “Suitcase Of Stories” - and you can see and feel as clear as a cloudless day, that this is what he was born to do. Don’t let preconceived notions or ties to past perceptions of this artist, make you miss out on a truly magical musical experience, and take the time to understand what you haven’t been spoon-fed. Reece’s career has already had so many dips and curves, good and bad, and that's something he doesn’t shy away from. If you're looking for some new music and something more than a passing fancy, take a trip down to Reece’s world, and stay along for the ride. We are all sure hoping for a long journey to come. The Show is super high energy, and flows so well with its peaks and sometimes sombre moody moments. After the band leaves the boards at festivals, the crowd is left feeling like they’ve just downed a tequila, always asking for an encore through an uncontrollable beaming smile. 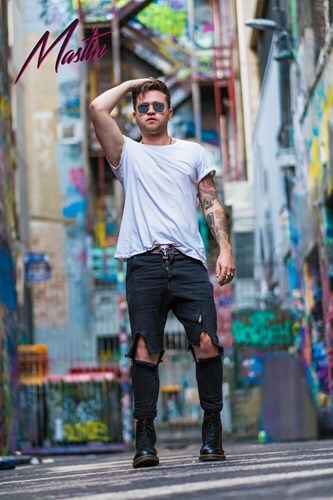 And finally the nostalgia; we know he is only 24 but Mastin has 2 Aria number one singles under his belt and countless other hits the fans love to sing. James Van Cooper is a 21-year old singer-songwriter guitarist hailing from Sydney, Australia. James spent his early teens playing apocalyptic metal, most notably Motley Crüe and LA Guns. By the time James was 19 he’d vanquished the metal mayhem and followed his musical compass to a sound and style that was less attention seeking than his hard rock days and a maturer more provocative country music artiste emerged. James Van Cooper has now developed into an Australian Americana/Country Guitar Rock performer, his sound dedicated to the stylings of cool country hipsters Jason Isbell and Ryan Adams. James is also a gifted guitarist – his playing leaves you in smoking ruins and his songwriting is beyond tweet-sized pop nonsense.